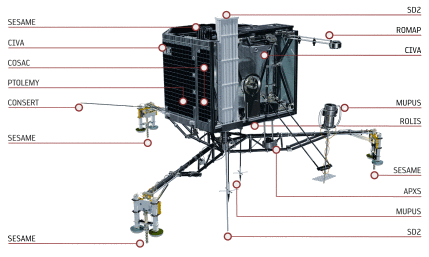 On June 13th 2015, the robot-lab Philae woke up on the comet 67P/Churyumov-Gerasimenko to resume a series of experiments interrupted seven months ago. These experiments were scheduled using Constraint Programming, and researchers of the team ROC of the LAAS-CNRS lab developed propagation algorithms to help the Scientific Operations and Navigation Centre (SONC) to efficiently achieve this task. Gilles Simonin, Christian Artigues, Emmanuel Hebrard, Pierre Lopez and Pauline Ballereau, of the Operations Research & Constraints group (ROC).